Kiwi fruit are rather unremarkable looking with their hairy, brown skin. But underneath lies a succulent green flesh, with a white pulpy center, surrounded by black, edible seeds. The outer covering also hides a sweet taste. 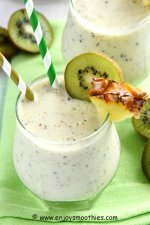 Although kiwi fruit has its own unique flavor, it has sometimes been described as a mixture of banana, pineapple and strawberry. But the main reasons to eat kiwi fruit of course are the health benefits. Kiwi fruit are native to China and were originally known as Yang Tao. They were brought to New Zealand by missionaries in the early part of the 20th century and were renamed Chinese Gooseberries. An enterprising distributor decided to share the benefits of this fruit with the world and changed its name to kiwi fruit, in honor of New Zealand’s native bird. Today they are cultivated and enjoyed around the globe. Of all the major fruits, kiwi fruit is the most nutrient dense. It contains five times the amount of Vitamin C of an orange, twice the amount of Vitamin E as an avocado and 20% more potassium than a banana It also contains Vitamins B6, K, A and the antioxidant Vitamin E, and the minerals potassium, magnesium, copper and phosphorous. 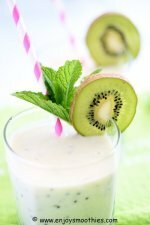 The amazing health benefits of kiwi fruit are now becoming more widely known as the fruit becomes more popular. They are fat free and contain more fiber than a bowl of bran cereal. Studies have shown they help protect against stroke and heart disease, lower cholesterol levels and reduce blood pressure. 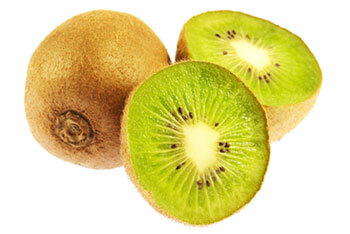 Kiwi fruit are rich in antioxidants and phytonutrients which help fight cancer. The Vitamin E helps lower cholesterol and reduces narrowing of the arteries, while the Vitamin A is essential for bone development, reproduction, good vision and healthy skin. The high levels of Vitamin C have been shown to provide significant protection against respiratory symptoms associated with asthma, such as wheezing, as well as colds and flu. The Vitamin K plays a role in helping blood clotting or coagulation. Kiwi has high levels of Vitamin B6, in fact the same as a serving of spinach, helping to maintain normal blood sugar levels and keeping the immune system healthy. Did you know that a single serving of kiwi fruit contains more potassium than a banana, ideal for replacing energy reserves after exercise. The magnesium improves nerve and muscle function. Some people can be allergic to this fruit. 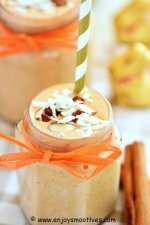 It contains the protein-dissolving enzyme “actinidin”. Symptoms include itching of the mouth, lips and palate, but can extend to the more severe symptoms such as wheezing or collapsing.